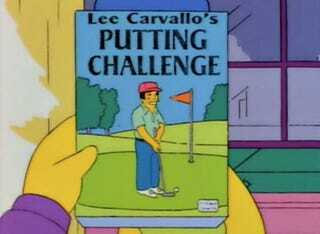 Yesterday, we asked you, the Kotaku readership, to name the video games that might make the least thrilling gifts to find under the Christmas tree this season, metaphorically, the fruitcake or the Lee Carvallo's Putting Challenge of gaming gifts. What Is This Season&apos;s Video Game &apos;Fruitcake&apos;? And while we couldn't come to a consensus—nor could we agree whether fruitcake was a delicious dessert or not—there were some strong suggestions. We still believe that games like Jurassic: The Hunted, Guitar Hero: Van Halen, James Cameron's Avatar: The Game and the like may be the most fruitcake-like releases of the last year or so, for they could easily be mistaken for other, better games, Kotaku readers had their own opinions. One of the better suggestions was Wii game Wipeout: The Game, a title based not on the futuristic racing game series, but the TV game show. It's a title that could lead to some confusion and an unhappy Wii owner. Need For Speed: Hot Pursuit for the Wii was also lumped in with the fruitcake crowd, a version that is not as beloved as its Xbox 360 and PS3 counterpart. Another video game fruitcake that's not a video game at all is the Game Boat for Kinect Adventures. That's nothing more than an inflatable raft designed to complement the Kinect experience. Or cash in on it. Some readers said that simply getting Kinect at all would be on par with finding a fruitcake in your stocking. Many said that Star Wars: The Force Unleashed II would be the lowlight of Christmas morning, a stark contrast to the well-received original. Sonic the Hedgehog games were mentioned, which is not a bad suggestion. How many fans of Sega's mascot will be unhappy to open what they thought would be a copy of Sonic Colors next month, only to discover Sonic Unleashed staring back at them? Most Kotaku readers were content to share their own gift receiving sob stories. Reader HJSoulma tells this sad tale of parental game buying choices: "For years and years and years I asked [my dad] for video games, and he never bought me any because he thought it was an unsavory hobby. Then like... part of the way through high school, around the time I just stopped asking people for presents, suddenly he started buying me every terrible video game ever made. I'm in grad school this year, and what did I get for my birthday? Sonic and the Black Knight. *siiiiigh*"
Xazi2003's brother is intentionally malicious when it comes to gift giving: "Well, my brother specifically got me one last Christmas on purpose. He walked into Gamestop, asked for the worst PS3 game they had and in return got Beowulf The Game to give to me." Some video game fruitcake receiving experiences have happy endings, though. "In 2003," writes Cabamacadaf. "I wanted [Star Wars Jedi Knight: Jedi Academy] but I got Knights of the Old Republic. I was disappointed at first but then I played it and it was awesome." Gift givers, take heed. Do not buy these games for people! Kotaku readers, your continued suggestions are more than welcome.